Regular dash cams are incredibly popular amongst most drivers. Imagine having access to a smart dash camera that takes protecting your car a step further. With the Owl Car Cam, you’ll have full control over the security of your vehicle. This unique device is essential for protecting you while you are driving and while you are parked. With a variety of fantastic features that every driver will love, the Owl Car Cam is incredibly impressive. As mentioned, this dash cam is designed to take vehicle security and safety a step further. You’ll have access to plenty of features that are still as simple to use as with a regular dash cam. It’s essentially giving drivers the ability to upgrade the way that they protect their vehicles. There haven’t been any specific upgrades to this model, but its overall design elevates your traditional idea of a dash cam. With the ability to access live streaming from your vehicle to your car, you can protect it from damage and theft. Above all else, it still offers the peace of mind to protect yourself from incorrect blame during an accident. The Owl Car Cam is actually designed to be easy to use, so any driver can take advantage of its benefits. No matter if you’re a first-time driver or a professional trucker, having it at your disposal is essential. Parents will also love the idea of installing the dash cam in their family vehicle. It will help to capture any evidence of accidents so that you can protect young drivers. You can also keep track of how they drive when you’re not in the vehicle. Dash cams are also advantageous for drivers who want protection from insurance fraud. In case of an accident, you won’t have to hope that a witness sticks around to defend you if you’re not at fault. You will have access to high-resolution videos and images to prove you were in the right. When you order the Owl Car Cam, you will receive everything that you need for installation. In fact, installing the camera in your vehicle can be done in less than six minutes. You won’t have to really think about hiring a professional installer or dealing with adhesives. In the box, you’ll receive the dash camera, the mount, and an instruction manual. Dual camera: One of the most interesting features is the camera setup. Not only will you have an outside facing camera, but an inside one as well. This will help you to keep an eye on activity outside and inside of your car at the same time. Relatively high-quality resolution: Some dash cameras give you the ability to access up to 1080p resolution. However, the Owl Car Cam only offers 1440/720p. It’s still a reliable quality; it simply won’t give you as pristine of feedback as other cameras. Anti-theft beacon and flood light: If you’re concerned about criminal activity around your vehicle, you’ll love the anti-theft beacon. It continually pulses inside your car to let people know that your vehicle is protected. The camera is also equipped with an automatic flood light. This light turns on if someone gets too close to your vehicle. Two-way talk: Are you interested in communicating with the person who is driving your vehicle? Similar to a walkie talkie, you can engage the two-way talk to talk to the driver from your phone. Instant video alerts: With the help of the built-in AI technology, the Owl Car Cam will send instant video alerts to your phone. This will keep you up to date on any strange events that might be happening in or around your vehicle. Built-in WiFi and 4G connectivity: The camera comes with a built-in WiFi connector as well as 4G connectivity. You will easily be able to stay connected to your car no matter where you are. You’ll also appreciate the live viewing feature, as this allows you to check in on your vehicle at any time. Crash response: In the event of an accident, Owl Live Agents will access your camera to check on everyone in the vehicle. If you need help, the Live Agents will dispatch emergency responders to your location. Quick sharing features: If you capture some amazing content, you can easily edit and share videos in a matter of seconds. All you need to do is use the app to share any videos or photos. GPS car finder: Worried about where your vehicle is? Or perhaps you forget where you parked it. The Owl Car Cam also comes with built-in GPS so that you can easily find your car when it’s needed. The main point of this dash camera is to give you the protection you need while driving. With that being said, you should install it as soon as you receive it. Once the camera is installed, you will need to contact Owl’s customer service to connect the device. There are different package options that you can choose from, so you can make the most out of its features. 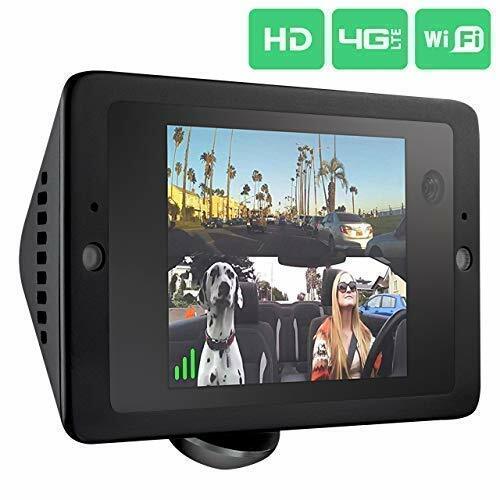 We also recommend installing the Owl Car Cam in a location that will easily capture activity. You’ll want to make sure that you have a clear field of view both inside and outside of your vehicle. Additionally, the camera should be able to see the driver and passengers clearly. Extra-wide field of view: The Garmin Dash Cam gives you a 180-degree field of view when recording activity around your vehicle. Driver alerts: Plenty of driver alerts can be found on this dash cam. This includes driver impairment warnings, red light camera warnings, and lane departure warnings. High-quality camera: Compared to the Owl Car Cam, the Garmin Dash Cam 65 offers a 1080p video capture in low-light and bright conditions. The Owl Car Cam is quite an investment, but it’s well worth the money. It allows you not only to review captured videos but to live stream activity in your car. You’ll never have more peace of mind than with a device that keeps you up to date with vehicle activity. No matter if your car is parked or if your kids are driving, you’ll always have the protection you need.